This... is... the fourth Gunpla kit I've ever built. 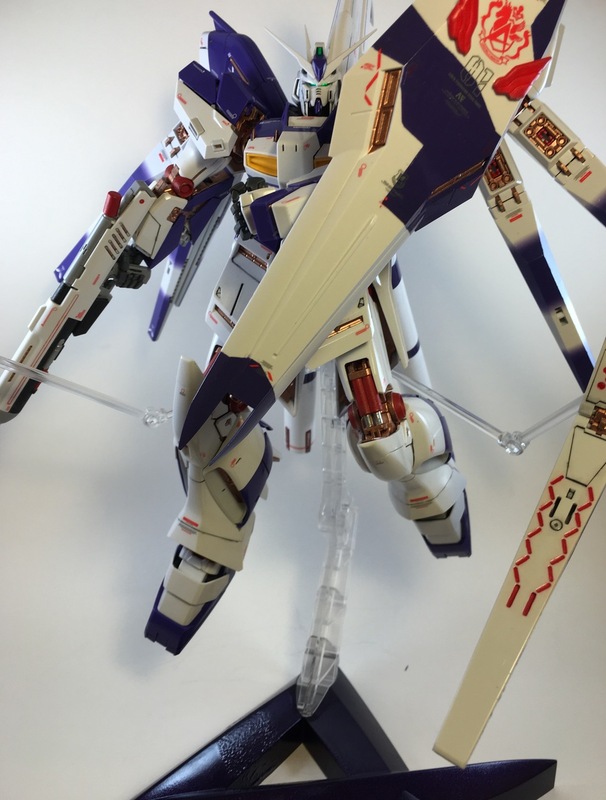 This is Bandai's MAster Grade Hi Nu Ver. Ka (available here) I bought it because I wanted to do the water slide decals on the fin funnels (the thin things on the back/sides of the kit). 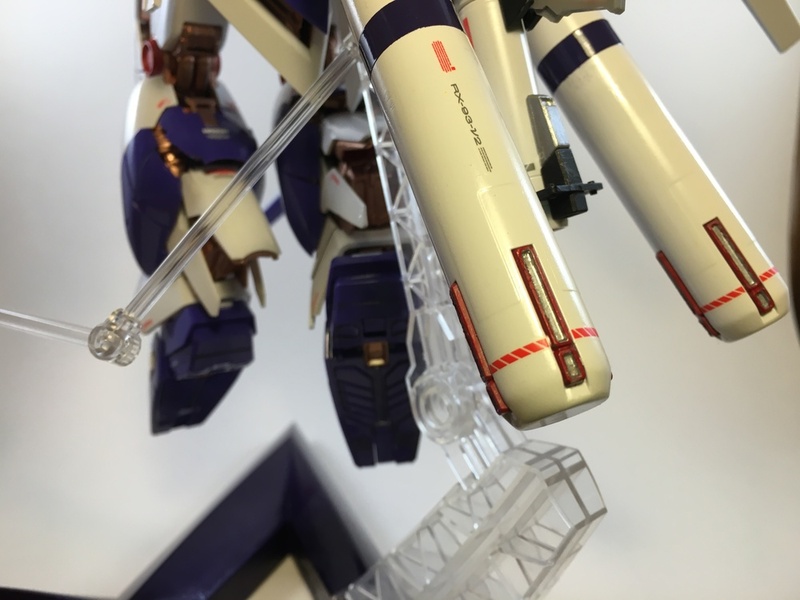 The fin funnels start white and you apply 3 decals that make them look like they're painted purple with a fade. For the most part, I love the way this came out. 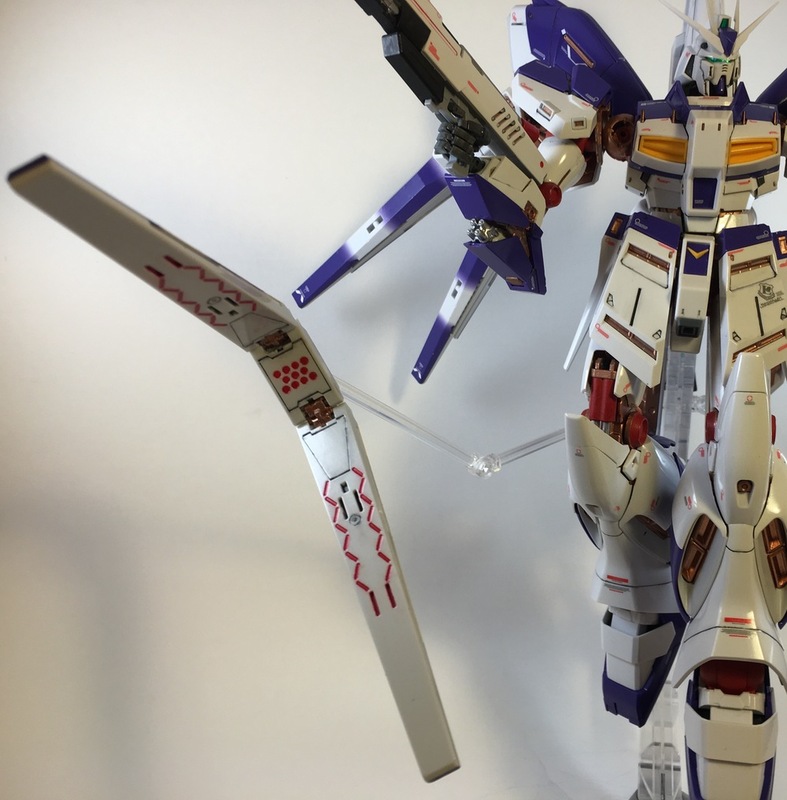 I learned so much while building and customizing this kit and I grew as a modeler by leaps and bounds. 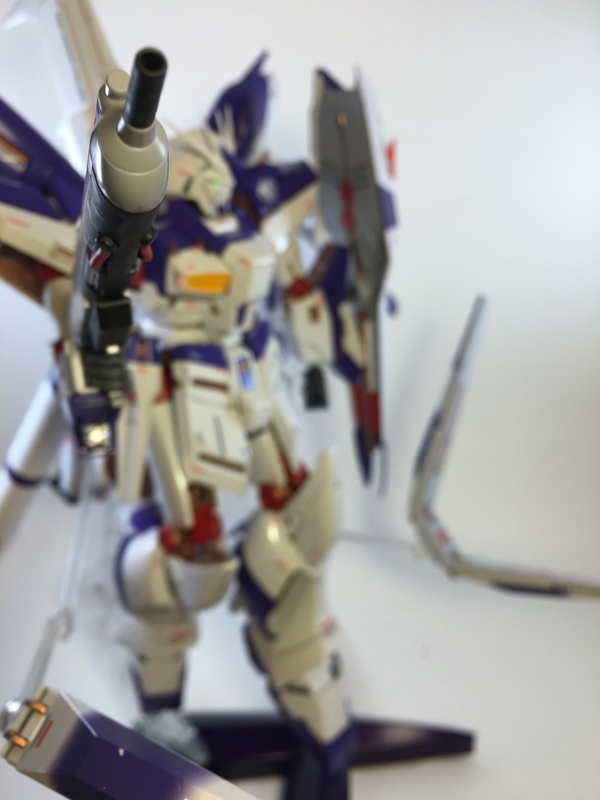 This is the first kit I used a panel wash instead of a panel lining pen, to mixed results. You can see my painting get better between the shield which is 100% pure acrylic paint on bare plastic (OUCH!) 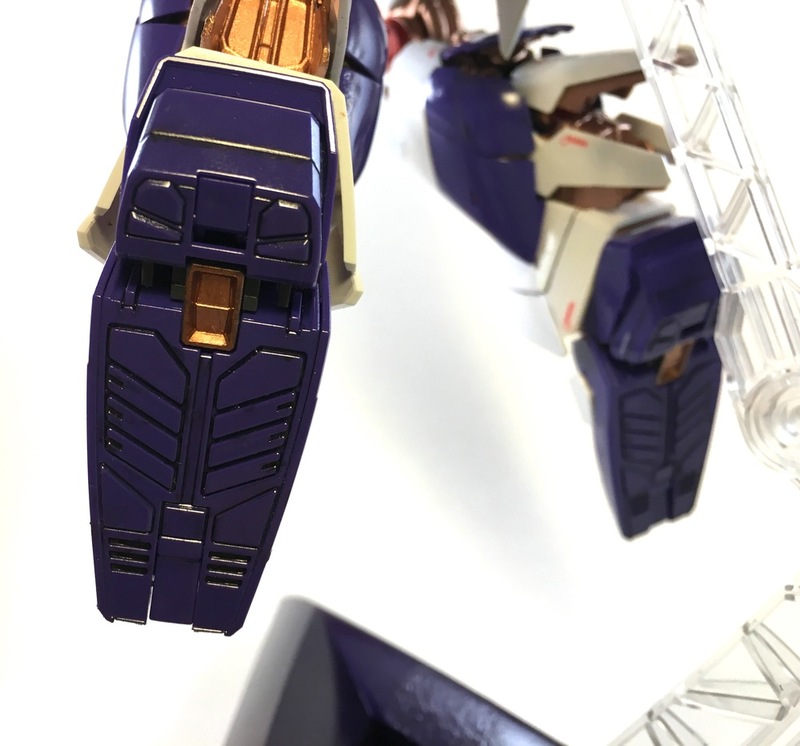 and the fuel tanks which have the seam lines removed, were primed, spray painted white then masked, and hand painted the purple stripes of 2 sizes before the decals were applied. I started this kit in March and was done with everything but the fuel tanks in mid May. 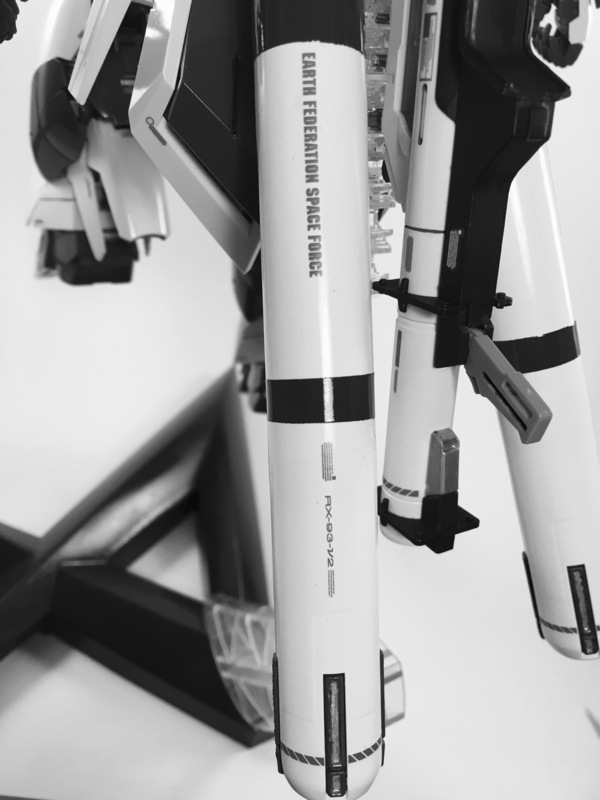 I took a break and built a few more kits and came back to finish the fuel tanks. You can check out my WIP for this kit here. I won a judges favorite award in a recent contest (the Texas Gundam Grand Prix) and I'm very proud of it! I don't think I should have won anything with all the visible flaws, but it was awesome to get a thumbs up after all my hard work. Ok, all that being said you should watch the slide show and check it out! 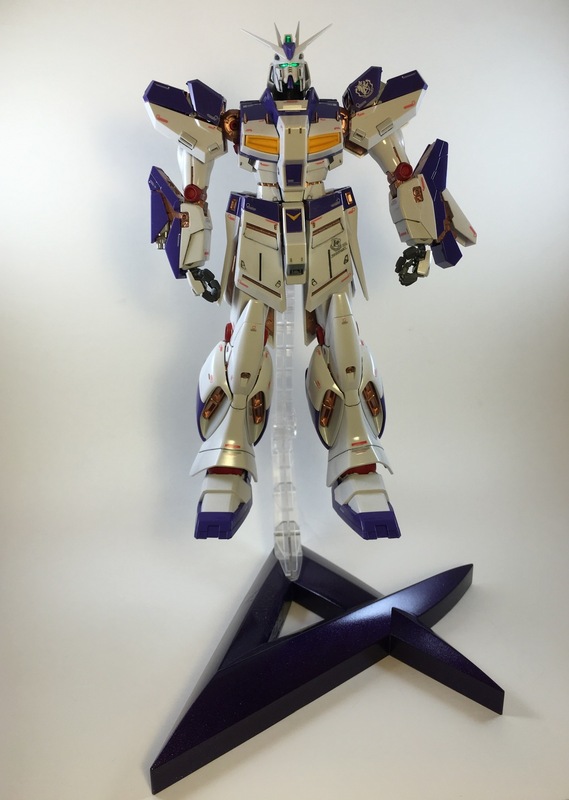 I present to you my Master Grade Hi Nu Ver. Ka I like to call "Rookie Mistake(s)". Enjoy! 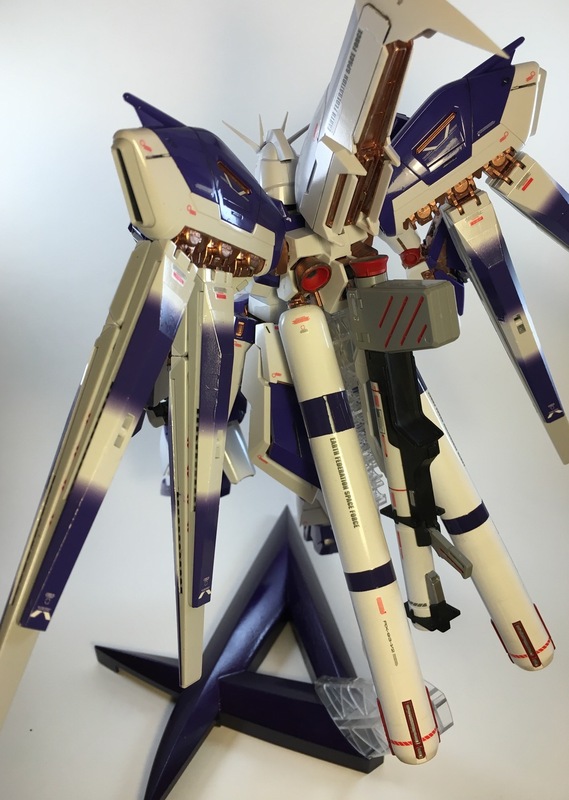 If you are interested in this kit you can get it from Amazon here.